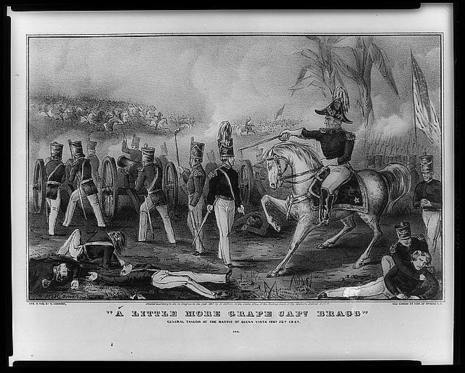 United States General Zachary Taylor was victorious over Mexican General Antonio Lopez de Santa Anna in the Battle of Buena Vista on February 23, 1847. Santa Anna's loss at Buena Vista, coupled with his defeat by General Winfield Scott at the Battle of Cerro Gordo in April of that year, secured U.S. victory in the Mexican American War. 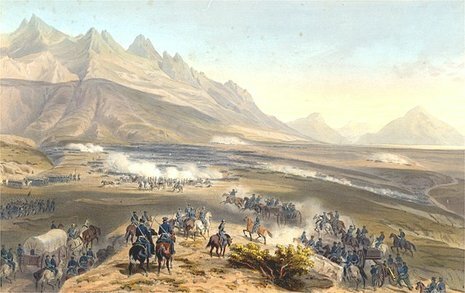 The Battle of Buena Vista was fought near Monterrey in northern Mexico. The 5,000 men fighting under General Taylor's command used heavy artillery fire to turn back nearly 14,000 Mexican troops. During the night, the Mexican army retreated, but Taylor did not pursue. he Battle of Buena Vista (23 February 1847), also known as the Battle of Angostura, saw the United States Army use artillery to repulse the much larger Mexican army in the Mexican-American War. Buena Vista, a village of the state of Coahuila, is seven miles (12 km) south of Saltillo, in northern Mexico.